Is humankind on the cusp of a second Renaissance? 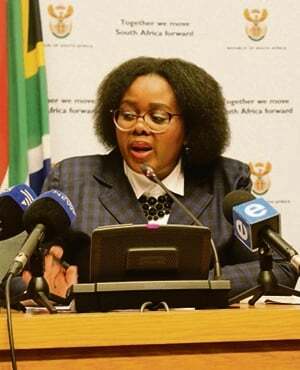 While organised labour will not receive its own seat in the presidential panel on science technology and innovation or at its standing inter-ministerial committee, their views will still be brought to the table, says Science and Technology Minister Mmamaloko Kubayi-Ngubane. The Science, Technology and Innovation white paper is expected to be released this week, which will be open for public comment. A summit is also planned for November. Kubayi-Ngubane said she expected to hear from unions at the summit, where their views would be considered. The white paper will inform government's response to the fourth industrial revolution, which is already sweeping developing and middle economies with, among other things, the automation and mechanisation of labour. The latter is particularly perceived as a threat to labour intensive jobs, such as mining. During a briefing in Pretoria on Monday, Kubayi-Ngubane said traditional jobs were already being lost due to automation and traditional commerce disruptions with the rise of electronic commerce and services. “STI lies at the heart of preparing for the emerging future. South Africa needs to build on progress in areas such as biotechnology, nanotechnology, advanced manufacturing as well as ICT research and innovation,” said Kubayi-Ngubane. She said the white paper proposed policy interventions including accelerated skills development, leveraging ICT, open markets as well as support for interdisciplinary and trans-disciplinary research. She said the Presidency would chair a STI plenary meeting soon to discuss integrated planning. She said civil society should be involved in the high-level government planning for STI programs and support training, funding and networks to bolster science and technology research and innovation development.